The Highlights: Winter Olympic history; John Brown Farm and Historic Site; Olympic training facilities; Quaint downtown shops and restaurants; Dozens of hiking trains and lake kayaking. Other Places Nearby: Adirondack mountains and parks surround the area; McKenzie Mountain; Mirror Lake. Meetings Options: the Conference Center at Lake Placid has over 90,000 square feet of flexible meeting and event space, including the 9,000-square-foot Lussi Ballroom and connection to both the 1932 Jack Shea Arena and the 1980 Herb Brooks Arena, each offering 20,000 square feet of unobstructed function space. For weddings, corporate retreats and incentive groups, the picturesque Whiteface Lodge offers authentic Adirondack ambience for groups of up to 200. 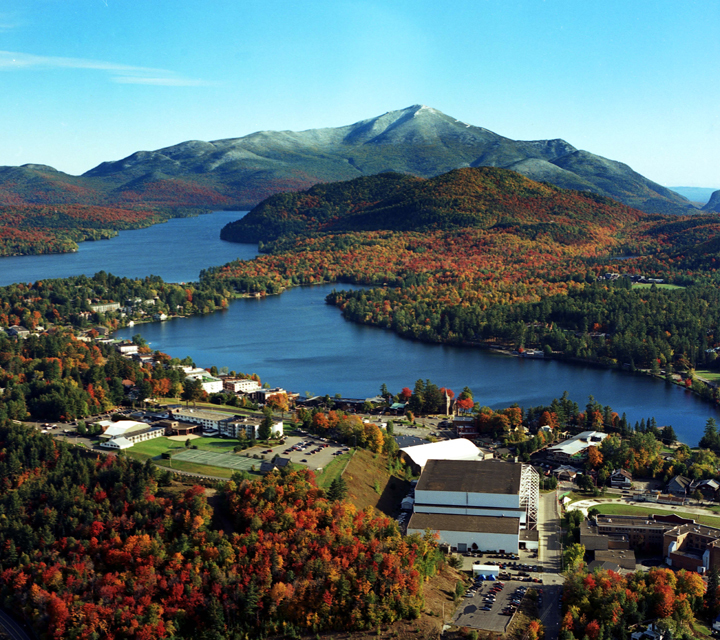 The history of Lake Placid, NY, is inextricably tied to winter sports—specifically, the Winter Olympics and the 1980 “Miracle on Ice,” when the U.S. Olympic hockey team beat a far more experienced Russian squad to shock the world and move on to the final round where they ultimately captured the gold medal. This wasn’t Lake Placid’s first brush with Olympic history. The town initially hosted the Winter Games in 1932, the opening ceremony presided over by then Governor Franklin D. Roosevelt, nine months before he was elected President. A young Sonja Henie won the gold as a member of Norway’s figure skating team, later becoming a Hollywood movie sensation. What Eric Heiden was to the 1980 Olympics, Henie was to the 1932 games. While the area’s altitude and ideal winter climate made it a natural choice for the Winter Olympics, its mountain peaks, verdant valleys and cascading streams continue to make it a popular getaway spot for outdoor-lovers of all stripes and seasons.